important note to all visitors !! situated in Assos a magnificent sea resort. An excellent place for unforgettable holidays. We hope that you will enjoy your brief tour all around our website and find anything you need. It is blissfully hoped to see you soon, here on beautiful Kefalonia, where we will contribute in different ways to your vacations, throughout the year, but especially during summer. spacious studios and apartments inside the capital city of argostoli wait for you..
Heliovasilema which is a modern complex of aprtments and studios for rent located at Antipata Erisou-in the northern part of the island. Janet's Art Pension is located in a convenient position between the famous Fiskardo town and port(8 min . walk ) and a fiord like bay of exquisite beauty featuring a small beach (Emblissi, 7 min. walk). your choice for relaxing vacations ! located in Lourdas, , two complex of apartments and studios designed to satisfy even the most demanding tastes, for all those who wish to spend dreamy and careless holidays. located in Lixouri-petani beach. The Magnificent view and carefully constructed and decorated area ensure that your vacation will be unique. Divarata-Kefalonia. The apartments are located near Divarata village, over the most famous worldwide Myrtos Beach. .REMEZZO APARTMENTS is in the centre of Sami 600m from the sea, 2km from the wonderful beach of Antisamos, hardly 200m from the city Health Centre. located only 200 m. away from the award winning Makris Yalos beach, in Lassi area. situated in Poros in front of the sea offering excellent and affordable accommodations. a self catering fully equipped house for families or couples. located in Skala Beach Resort. An excellent place for unforgettable holidays. located in Karavomilos - Sami, the perfect place for couples, teenagers as well as families in search of comfortable, pleasant accommodation. located in Lassi resort -Argostoli, an aesthetic complex, waiting to welcome you and render your holidays, on the very promising island of Kefalonia. located in Poros infront the beach, with breathtaking view to the Ionian Sea and fully equipped rooms. are located at Trapezaki, Kefalonia and is the ideal place for a luxurious and relaxing stay with 360 views, yet at affordable prices. located in Vlahata & Lourdas just the perfect place for couples, teenagers as well as families . MARINA-ANNA APARTMENTS newly built, just 350 mfrom Trapezaki beach Quiet but not isolated, the rooms can accommodate 1 to 3 persons each room with a breathtaking sea view. We have create an excellent and comfortable complex of studios & apartments in a peaceful area of Sami. SUNRISE Studios - Restaurant is a small complex set in front the beach nestling amongst the trees only a few minutes away from the scenic village of Skala. The village of Skala is situated in the most lush and greenest part of the island, in southern Kefalonia. ASSOS PARADISE INN situated in Assos a magnificent sea resort. An excellent place for unforgettable holidays. DIANA STUDIOS situated in Trapezaki resort with astonishing views to mount Ainos and the Ionian sea, for unforgettable summer vacations. 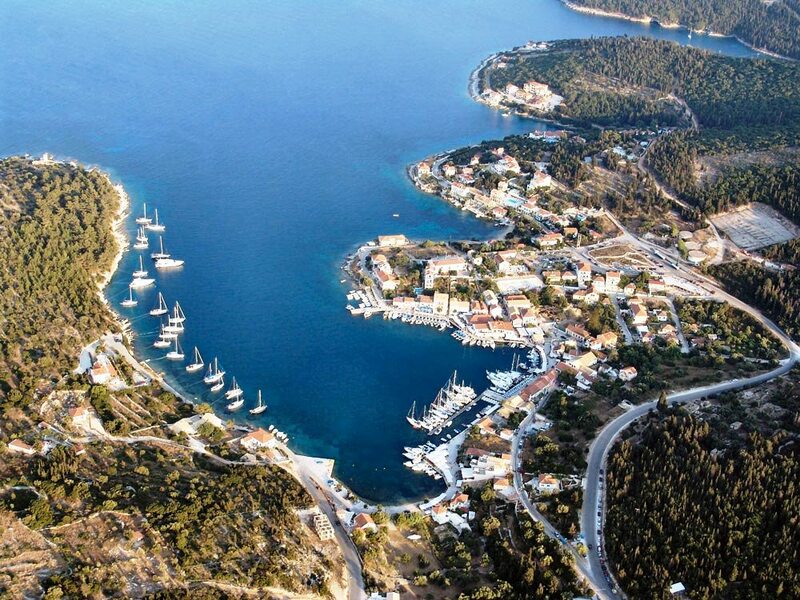 a new build Hotel in Poros offering all you may need for unforgettable summer vacations. is situated in a quiet and leafy part of SKALA resort, 500 m away from the beach. ideal for families and couples. a brand new 2 stars hotel over the sea sunbathing on Agia Efimia, a picturesque village of various contrasts and surprises. is a single block accommodation of two apartments and one studio 800 meters from the centre of the village. Is a small studios and apartments complex set in Lassi area resort, in Kefalonia island western Greece. Located in Argostoli-Kefalonia.Room or a self catering Studio.Friendly welcome. at Tselendata; 3km from Fiskardo, Kefalonia. Welcome to your new "home away from home" in the village of Tselendata. located in Lixuri -Kounopetra and situated in a natural setting surrounded by pine trees, olive trees and flowers. located in Lourdata village, fully equiped and comfortable apartments with view to the sea. NORTHWEST STUDIOS POOL-BAR is located on top of a hill above the town of Argostoli, offering amazing views to Argostoli, Argostoli Bay and the Ionian Sea. NorthWest complex is consisted of 9 fully equipped studios, a spacious outdoor pool and a pool bar. POSEIDON APARTMENTS & RESTAURANT in Agia Efimia. The perfect place for a relaxing vacation in Kefalonia island. LOUISA APARTMENTS in Poros. An ideal place suited for all your needs, whether it be with the whole family, or to spend it with that special someone. EMILIA APARTMENTS a new building located 1.4km from the village of Skala. Emilia has 4 studios and 2 apartments all modernly furnished. located in the village of Svoronata, at a short distance from the sandy, turquoise beaches that have pivoted Livatho as the island's most coveted region for quality holidays. VILLA NINA a new build and fully equipped villa in Tzanetata village near Sami. A complex of comfortable apartments built on a quiet spot in Lassi resort - Argostoli wait for you..
Two complex of spacious studios and apartments inside the capital city of argostoli wait for you..
A complex of comfortable and modern apartments built on a quiet spot in trapezaki resort wait for you..
Bungalows "GREEN BAY" is situated in Karavomilos - Sami Kefalonia near the cave-lake Melissani. It's lying by the sea. .
virtual tour to our Studios and the beautiful island of Kefalonia !